To another: sharing the love of reading and books. Polar Book Club Takes Us Into Spring — But We're Getting There! How many of you have read our Current Polar Book Club Selection? [Raising my hand halfway] Ahem, can I be halfway finished? The Lemoncholy Life of Annie Aster is fully within my comfort zone, but it isn't a comfortable read for me. I'm loving it, but I have to take sips of the book, rather than long gulps. And as a result, I'm only a little more than halfway finished. Look, I know I suggested we read the book together. I made the offer, and I didn't keep up. I apologize. Now, that doesn't mean you have to wait for me. Okay, maybe a little, but start taking notes, and tell me what to look for (without spoilers, please!). Long story short: I'm still in. I'm just a little slower than I would have liked. Sorry about that, and I will hurry along to catch up with you. In the comments below, tell me how long it took you to read this delightful (so far) gem. I can't wait to hear! Book lovers have a connection no matter their specific preferences. If you've read a book I love, or even one I didn't love, I don't care whether you consumed pages, pixels, or the dulcet tones of Juliet Stevenson or Bahni Turpin. You and I are pals. 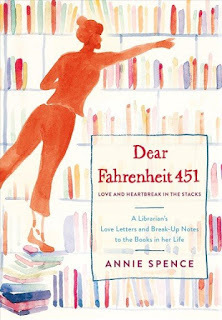 That is how I feel about Annie Spence, librarian and book lover. Our friendship began with the intriguing title Dear Fahrenheit 451: Love and Heartbreak in the Stacks, and it naturally grew. Flip this book open to any page, and Spence will grab your attention with her wit, compassion, insight, and appreciation for what books mean in a life. Take To Kill a Mockingbird. (Seriously, go to the library, take it out.) (Just kidding.) (Not really.) She couches her letter to this book in her reading relationship with her family, primarily her oldest sister. The glimpses into their years growing up was heartwarming and charming, and not mushy or sentimental. The revelation at the end of her letter made me gasp. Annie — and I can call her Annie because we're friends now — will have resolved any outstanding issues by now, since the book was published in 2017, so I can rest easy. Not all of the letters speak of love and adoration. Indeed, in her role as librarian, she encounters books in the stacks that can make today's readers shake their heads that such a book was purchased for the library shelves. It is wise to remember that books can sit on a crowded shelf for years, circulating between branches often enough to escape detection. 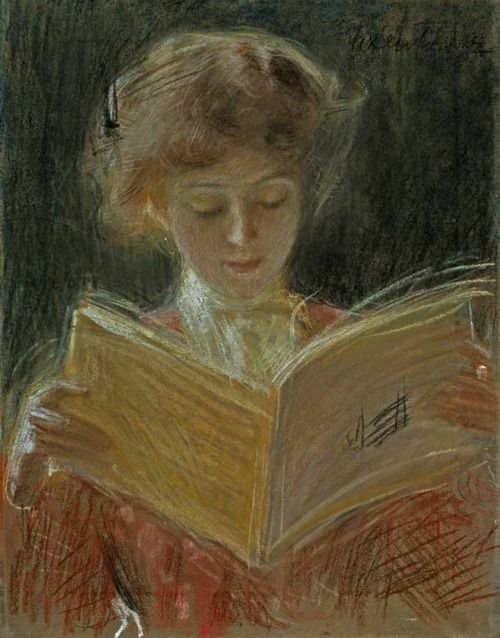 Other books that fall under Annie's critical gaze take us to an older time when women "had their colors done," or popular books whose time has passed. She probably will address at least one book for which you have strong feelings. Don't despair: she will treat that book, as she does all others, with the respect they deserve. This makes me want to re-read some of them to see how far apart our opinions truly are. There is a good chance you will read these out loud to friends, family, and perhaps the person next to you on the bus. Try to get through the entry without completely dissolving into laughter. It will be hard, I know, but sally forth bravely. It's worth the effort: Annie is fun to share with others. Annie ends her book with recommendations of what books will fix what ails you, or help you through those times when books are the only salve. She'll give you excuses to stay home and read. Annie gets you, and she's there to help. I haven't returned my copy of Fahrenheit 451 to the library yet so I can pin some of these books on my "Nightstand/Wish List" Pinterest board. Librarians are superheroes; those who share their insights with us, doubly so. Annie is a triple threat: a librarian who has published a book about books. Spend some quality time with a good reading friend, then recommend her to your other bookish friends. 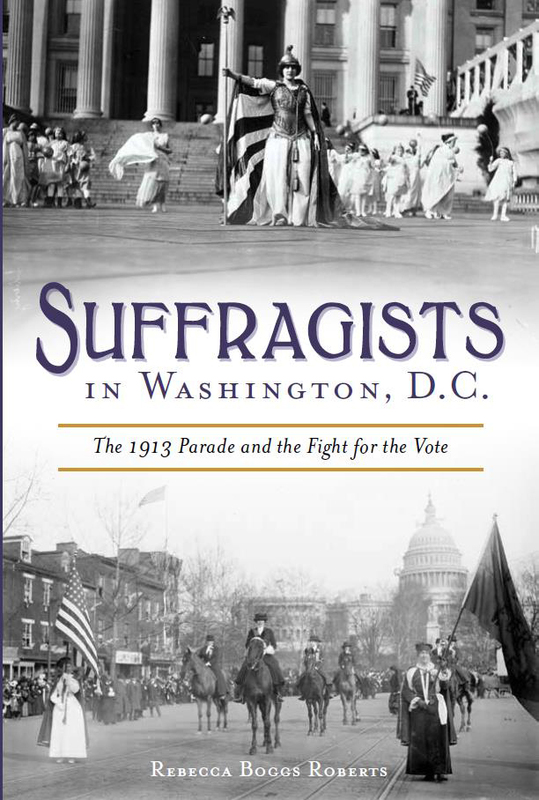 And always, always, always check this one out from the library. 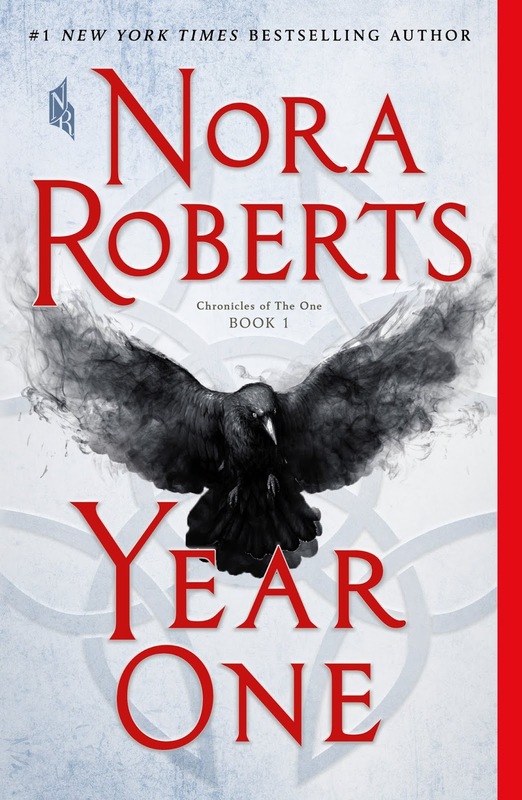 Nora Roberts is an unstoppable powerhouse. Not content with being successful in a single genre, the author has changed names and genres because she just has to write. A lot. I wished her well, but I didn't think she was up my alley. 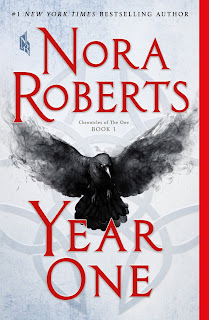 Then I caught sight of Year One in the grocery store (of all places), the hulking crow swooping out at unsuspecting shoppers — and began my relationship with Nora Roberts, the Dystopian Novelist. Year One takes place in current times. An unsuspecting wealthy New Yorker bags a bird on a hunting trip in Scotland and brings home more than he bargains for. As with all fatal diseases in modern tales, The Doom is highly contagious, shockingly swift, and ruthless: one mother dies from The Doom while her newborn does not. Good people go bad, or surrender to fear. Survivors find themselves in a weird, dangerous, and polarized world that is a little Mad Max, a little Stephen King, and way too much Trump's America. Roberts has a way of lulling readers into a false sense of security with the tedium of civilization. When people start bickering over Doritos, don't relax (but go ahead and judge, you know you want to). If you must, skim a paragraph or two, but brace yourself: it's that false sense of security that gets you, and them, every time. Reading is supposed to be fun — and this is a fun book to read. Critical Reviews: Trustworthy or Trolls? What a reader considers a good book is both very personal and very public. One person's favorite book very well could be another person's nightmare. What is a reader to do if she wants to find out if a book is worth her time? You may have a professional critic or two whom you trust and (mostly) agree with, which is a nice way to add to your towering TBR pile. You can accost the occasional stranger or two reading the book of interest — but if they snarl, back away slowly and don't take your eyes off them until their eyes have returned to the page. Online? Think twice, and proceed with extreme caution if you dare venture in. Back in the day, many readers believed online reviews were reliable, and a community of readers discussing books — in part because they themselves participated. Now, however, even honest readers and booksellers on the most "reliable" sites find themselves torpedoed by murky trolls salting the soil, making it harder for good reviewers to thrive. I am discovering this as I peruse online reviews and comments about a book from time to time, looking for a general sense of reader response. If I am not quite sold on a book that sounds interesting, I'll read one-star reviews to see if other readers identify problems I want to avoid, and possibly take them into consideration. Sometimes the bad review is more precise and detailed than the glowing ones. Sometimes, but not usually. How do you differentiate an honest comment from a smear campaign? Check out the commenter's the time stamp, user name, and language dexterity (when present). If most reviewers don't leave comments, take that into consideration, too — lazy or troll? And are the reviews even for that book? These are also good clues for identifying five-star trolls boosting a book or product: a book with 5,000 five-star reviews dropped in a few days doesn't always pass the smell test. And that's for books you haven't read yet. If you seek an online community of supportive readers who want to share ideas, remember: the Internet can be a bad and dangerous place if you have an opinion. Do not go there. Literally: do not go to book reader or bookseller websites and read reviews that rate the book lower than you did, no matter how many people consider the reviews "helpful" or "relevant" — especially when you're in the Flush Of Book Enjoyment Upon Completion™. 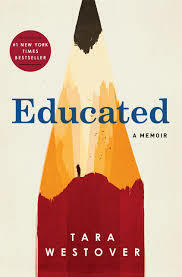 After I read Educated, I rated it on Goodreads. (I wasn't ready to review it, but I wanted to mark it as "read" for my book list-keeping.) I found the book shocking, amazing, exhilarating, exhausting, draining, and well-written — and when rating it, I made the mistake of reading a lower-starred rating ranked as very "helpful." I am a critical reader, and a natural skeptic. I investigate remarkable claims, especially those that stand to benefit someone financially and critically. The three-star review didn't provide any evidence, just skepticism. One person's opinion, indeed — and not at all helpful to me. Lesson learned: don't look for online arguments I don't want to launch. I will always read skeptically and critically. I will review wide-ranging information from reliable resources, whether they are in my comfort zone or not. But I will judge critics and skeptics by equitable criteria, and use my best judgment on who is a trusted source. Going to My Library is like a gleeful shopping spree. I always pick up an unexpected variety of books snatched impulsively from the stacks, and I always have books on reserve, especially after consulting my trusted book sources. I never come home empty-handed. The last two stops at My Library were no exception. One of my husband's favorite musical soundtracks is Oklahoma!, and a quick dive into the Internet unearthed some very interesting facts. Oklahoma! is based on the 1931 stage play Green Grow the Lilacs, which of course I had to read. Green was good — and it led me to Harvey, an even better play in the anthology I borrowed. If you haven't seen Harvey, go find it right away: the story about the delightful Elwood P. Dowd and his invisible friend is a madcap comedy that is sweet and surprisingly suspenseful. A friend at work mentioned in passing a book he read years ago about ants, originally written in French but translated into his native Korean. Did my library have such a book? Indeed, and in my native English. Empire of the Ants may be a slow read thanks to its thorough examination of ants, but an interesting one, if the first few chapters are any indication. If I had a superpower, I would want it to be the power to understand and speak every language in the multiverse. Until I am altered in some way, or until earplugs and a translation app are perfected, I'll have to work on it the old-fashioned way: study. Fluent Forever is written by someone who taught himself multiple languages — and if he can, perhaps I can, too. We shall see. I have begun listening to the podcast Lore, which examines the real, fascinating stories behind legends. Aaron Mahnke has written a series of books — and when I saw his tome about real-life monsters on My Library's shelf, I had to pick it up. After reading Laura Vanderkam's time-use book 168 Hours, I decided she would be one of my non-fiction go-to authors. Her latest book is Off the Clock: Feel Less Busy While Getting More Done — and I trust she will share something interesting. After listening to the book Educated (which I strongly recommend), I decided to read a little more about family dynamics. Every unhappy family is unhappy in its own way — and I'd go a little farther than Leo Tolstoy and suggest that all families harbor unique unhappinesses. It Didn't Start With You examines family trauma that has carried on down the generations, which should be an interesting study in psychology. These are added to the 2019 Polar Reading Club selection, The Lemoncholy Life of Annie Aster, and the new Jasper Fforde book, Early Riser. What have you picked up from your library lately? Let me know! 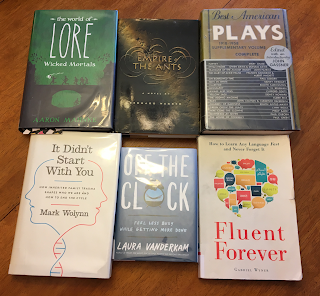 Thanks to Linda (Silly Little Mischief), Clare (The Captive Reader), and Mary (The Adventures of An Intrepid Reader) for originating the Library Loot column. Check out what they're reading, too! 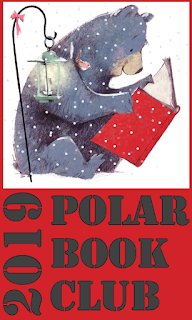 We are mere days away from the discussion of the Polar Book Club. Are you ready? 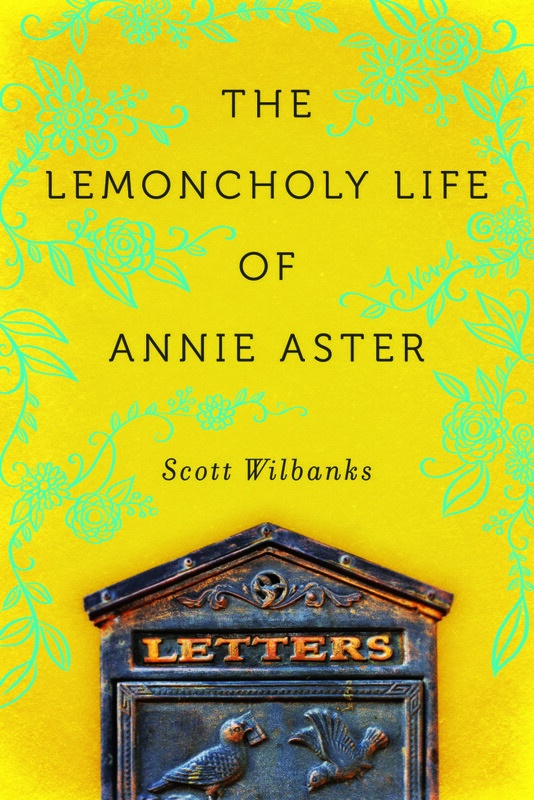 Join us in reading and discussing the novel The Lemoncholy Life of Annie Aster by Scott Wilbanks. It has two of my favorite plot devices: time travel and mystery. Annabelle Aster has discovered a curious thing behind her home in San Francisco: a letter box perched atop a picket fence. The note inside is blunt—“Trespass is dealt with at the business end of a shotgun in these parts!”— spurring some lively correspondence between the Bay Area orphan and her new neighbor, a feisty widow living in a nineteenth century Kansas wheat field. The source of mischief is an antique door Annie installed at the rear of her house. The man who made the door—a famed Victorian illusionist—died under mysterious circumstances. Annie and her new neighbor, with the help of friends and strangers alike, must solve the mystery of what connects them across time before one of them is convicted of a murder that is yet to happen... and somehow already did. Don't wait for anyone else: you can start the conversation! Leave a comment on the blog, below, or email me your impressions and observations and I'll publish the thread of our conversation on the blog. You can decide how you want to be identified, if at all, in the conversation. Questions? Comments? Ideas for the Spring Reading Club? Comment below or contact me! What else should an Intrepid Reader do during the winter but — well, read? 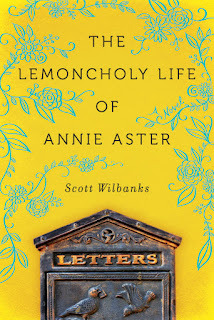 Join the Polar Book Club in reading The Lemoncholy Life of Annie Aster by Scott Wilbanks. 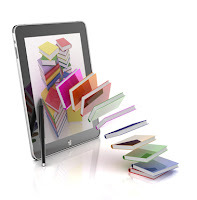 Now that you're hooked... start reading! Let's begin the discussion on Monday, March 4. You can leave a comment on the blog, below, or email me your impressions and observations and I'll publish the thread of our conversation on the blog. You can decide how you want to be identified, if at all, in the conversation. Thanks to Intrepid Reader Karen for giving me the book last summer, and for suggesting it for the Polar Book Club. Everywhere I want to go! What's on One Book Lover's Nightstand? So, What Else Has One Book Lover Read Lately? Chis is an avid reader and loves books and will discuss just about any book or book/article about books. Feel free to join the discussion by leaving comments on the blog entries, or drop Chris a line. Also, check out other reviews by Chris on her previous book blog, Book Lovers: Get Your English On! . If that's not enough, you can catch other off-the-page writings by Chris in her (moderately) less bookish blog, Hedgehog Lover. All Content — Copyright 2017 by Blog Editor. All Rights Reserved.